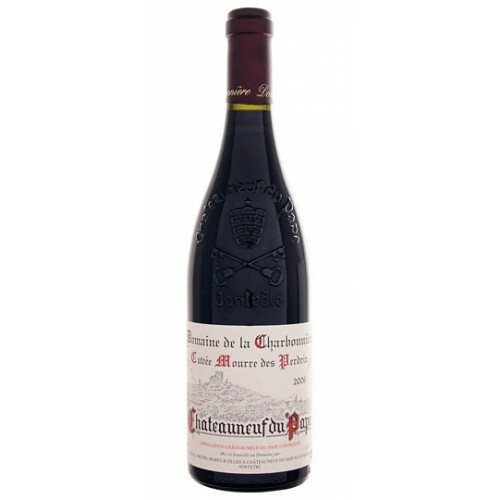 This Domaine de la Charbonnière is all perfume and guile, with incense, warm fruitcake and black tea aromas providing a lifting feel, followed by supple, warm red currant confiture, raspberry and black cherry fruit notes that are seamlessly wrapped together and carried by gossamer-thread tannins. The long finish glides effortlessly. 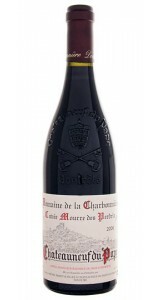 A beautiful Châteauneuf-du-Pape to drink now. The Domaine de la Charbonnière was bought by Eugène Maret in 1912 and has since been handed down from generation to generation. Today, Michel Maret and his two daughters Caroline and Véronique own 19 hectares 50 parcels on the appellation Chateauneuf du Pape; Close to 6 hectares of AOC Vacqueyras and 2 hectares of AOC Côtes du Rhône. Under the watchful eye of their parents, Caroline and Veronique devote themselves to the cultivation of the vine until the making of the wines. In keeping with the family traditions, they continue the work of selection by their father, of reasoned cultivation (with the application of the principles of organic farming) to produce complex and elegant wines. In a word, they are always in search of excellence. They have developed all the wines with the utmost care, taking into account the influence of the environment and the lunar calendar on grapes and wine. In the vineyard, we use natural fertilizers, we harvest manually and we carry out a rigorous selection of the grapes. We have a resolute approach aimed at respecting the natural balance and biodiversity. In the cellar, we prefer soft extractions but also long and delicate breeding.